In Saturn's bluish north, day ends for the dreamy white clouds that stretch here into twilight. 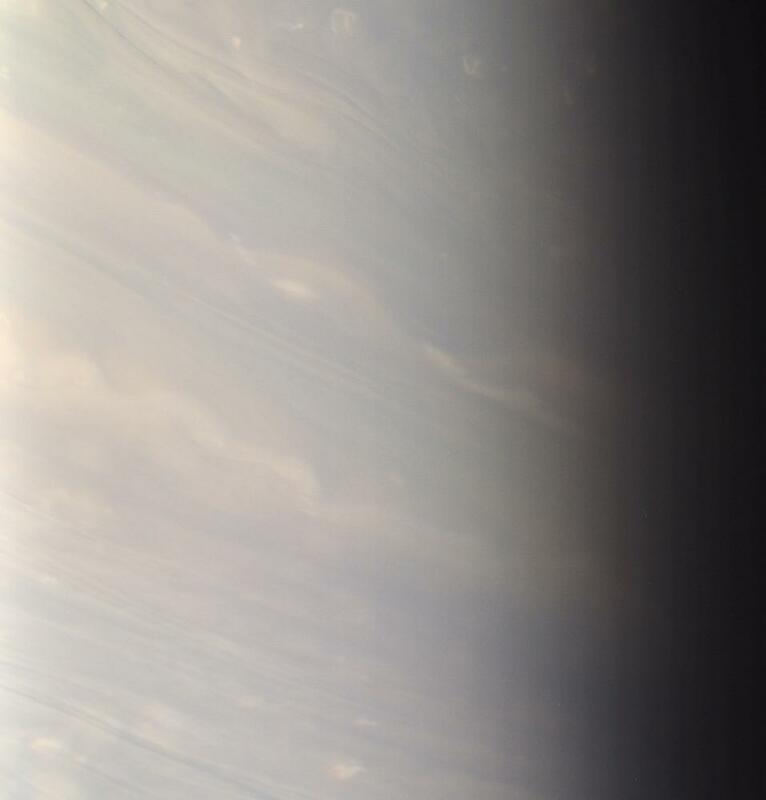 This natural color scene shows middle latitudes in Saturn's north at excellent resolution, and with little detectable blur due to spacecraft motion. North on Saturn is up and rotated 22 degrees to the right. Images taken using red, green and blue spectral filters were combined to create this color view. The image was taken with the Cassini spacecraft narrow-angle camera on April 1, 2007 at a distance of approximately 2 million kilometers (1.2 million miles) from Saturn and at a Sun-Saturn-spacecraft, or phase, angle of 86 degrees. Image scale is about 12 kilometers (7 miles) per pixel.